The Australian Securities & Investments Commission is investigating colourful One Nation Senator Rodney Culleton over the liquidation of his company Deqmo Pty Ltd. This means the number of people now pursuing Rodney – from insolvency practitioners, lawyers, regulators, teeming creditors, assorted government MPs coaxing his vote, and even his party leader Pauline Hanson – may well be in the triple digits. According to documents obtained by michaelwest.com.au, the liquidators to this company Deqmo, which owes $5.26 million, have been pursuing the WA senator for his books and records since early September. Books and records, not to mention a Report As To Affairs (RATA), are compulsory things to provide to one’s liquidators in a liquidation. Sadly, these have not yet materialised. So it is that the two liquidators, Andrew Wily and Marc Galler of Armstrong Wily, will be taking a warm interest on Thursday this week as this is when Rodney’s bankruptcy hearing is on in Perth. Doomsday perhaps, as it is also the day after tomorrow, when the first of two High Court challenges to Rodney’s Senate eligibility is set down for hearing in Canberra. Lest we digress, after a number of bounced emails, haplessly urgent telephone calls and beleaguered yet unsuccessful responses from the solicitor “who appears to be acting for Mr Culleton”, the liquidators reported to the corporate regulator that they did not have sufficient information to conduct the liquidation. So ASIC is now looking into the matter. Bear in mind that, although Rodney revealed little in the way of assets in his previous bankruptcy proceedings, it was reported in the Australian Financial Review earlier this year that he claimed he had $34 million. Alas, that lazy $34 million does not appear in his declarations to the Australian Electoral Commission, forms which one has to fill out when one becomes a member of parliament. 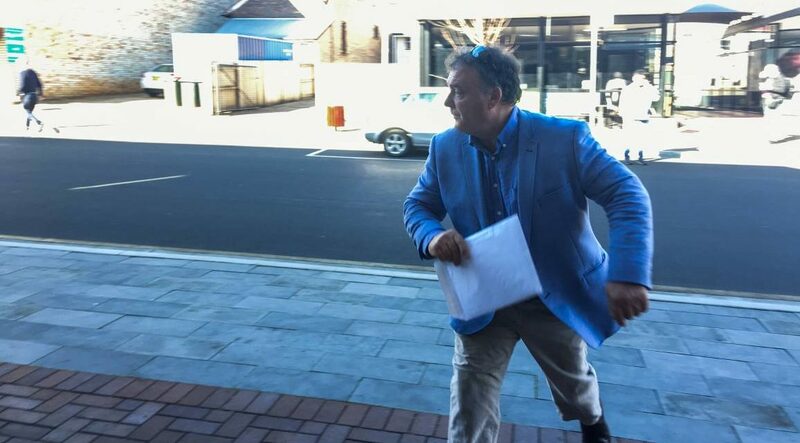 Assuming Rodney does make it through the High Court matter tomorrow – and emerges in glorious and valiant victory the following day, unscathed in the Federal Court, somehow not bankrupt – he is still not out of the woods. He faces another claim in the High Court, another challenge to his Senate eligibility, this time by WA businessman Bruce Bell. A hearing date is yet to be set but the claim refers to three issues: 1. the highly publicised larceny conviction (now known in folklore as the fable of the $7.50 tow-truck key), 2. the alleged theft by Rodney of a receiver’s car at Bruce Dixon’s farm in WA (another looming case in which 22 police officers may be giving evidence), and 3. another candidacy challenge involving a claim that Rodney was insolvent when he became a Senator but failed to disclose it.